Drakaina Cave is situated on the steep slopes of the impressive Gorge of Poros, a small modern village on the southeast coast of Kefalonia island in the Ionian Sea, Western Greece [view the map]. Excavations carried out between 1992 and 2005 by The Hellenic Ministry of Culture and The Ephorate of Palaeoanthropology and Speleology of Southern Greece revealed a long and complex sequence of human activity spanning the Late Neolithic (mid 6th millennium BC) through the Early Bronze Age (mid 3rd millennium BC). 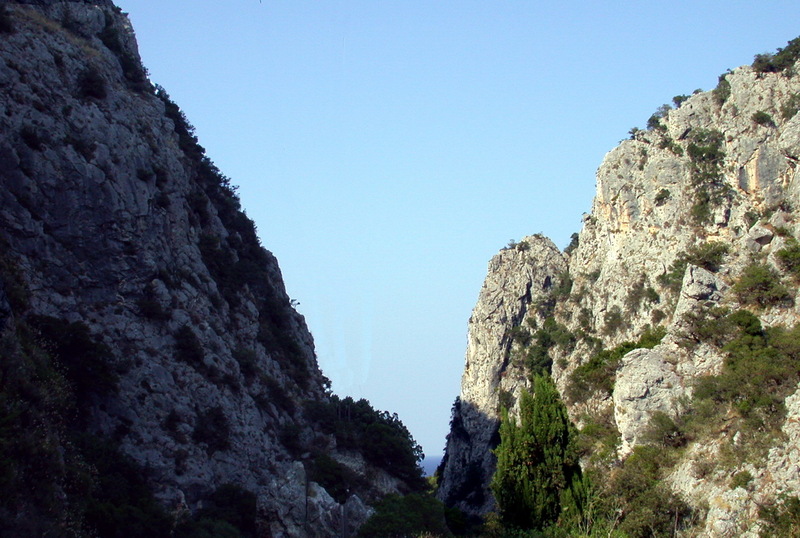 After a long period of abandonment, Drakaina Cave was reused as a shrine dedicated to the Nymphs and the God Pan from the late 7th to the early 2nd century BC. During modern times the Cave was used again as a sheepfold. The Cave lies at an altitude of c. 70 m and it is a small, open karstic formation, extending over an area of about 90 square meters. About two-thirds of the Cave’s interior is covered by huge massive boulders, the result of high tectonic activity occurred at various points in its geological history. 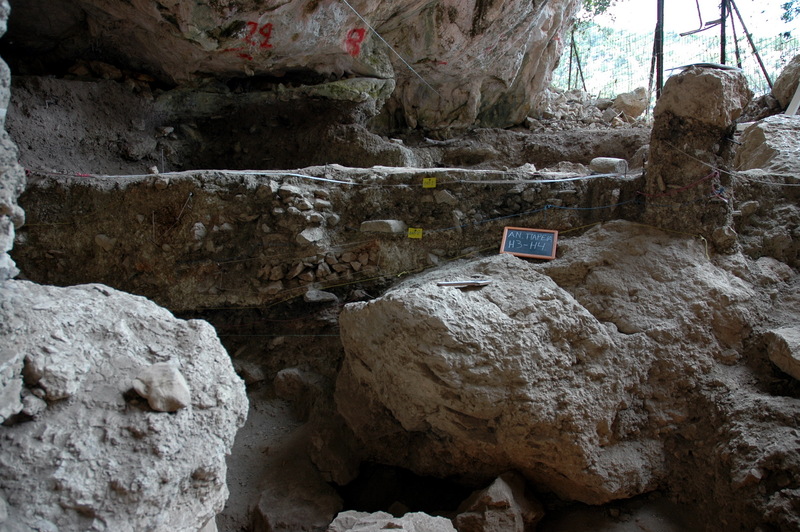 The Archaeological Project of the Prehistoric Deposits of Drakaina Cave began systematically at 2004 and has continued until today. It is conducted by The Ephorate of Palaeoanthropology and Speleology of Southern Greece under the direction of Dr Georgia Stratouli with the collaboration of numerous researchers and students from Universities and Academic Institutes from Greece and abroad. Excavations at the Neolithic layers of the site has uncovered important architectural elements, such as several lime plastered floors covering large portions of the Cave, a rare if not unique feature at least for Neolithic Caves at Greece, and various hearths, often lined by natural stones and recycled ground stone tools. The archaeological investigations had also brought to light large amounts of small finds and food remains. Their study in combination with various archaeometrical, palaeoecological and petrographical studies, conducted within the framework of the archaeological program, aims on reconstructing the site’s cultural biography and understanding its meaning(s) for the Neolithic community. 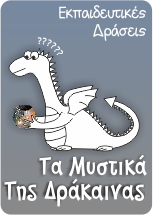 The research was conducted with the support of Τhe Hellenic Ministry of Culture, Municipality of Elios-Pronnoi, The J.F. 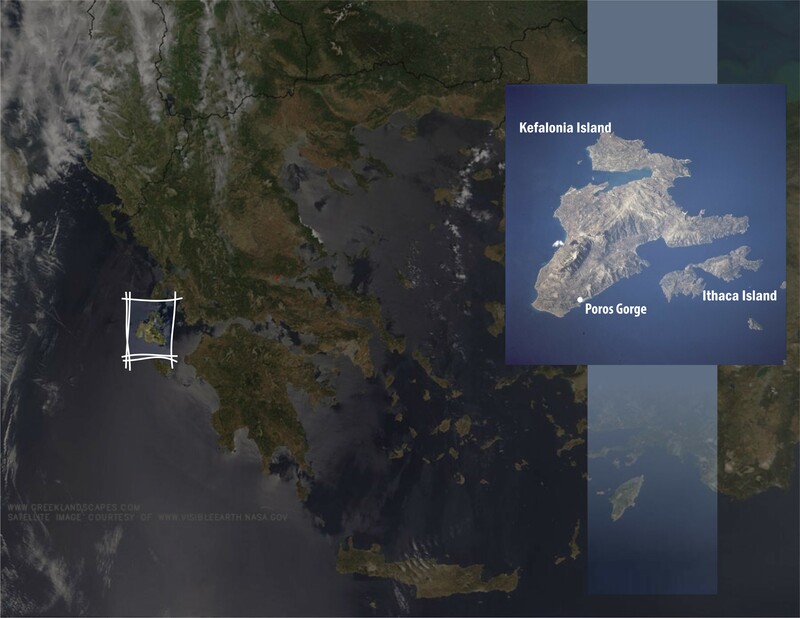 Costopoulos Foundation and The Institute for Aegean Prehistory (INSTAP).